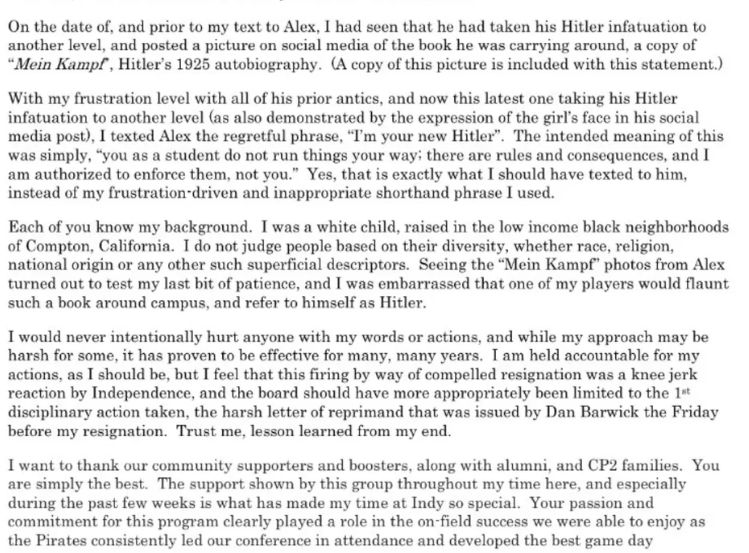 Brown claims that Alexandros Alexiou gave himself the "Hitler" nickname, even carrying around Mein Kampf and throwing Nazi salutes. Brown added "I regret and have great remorse over my actions." 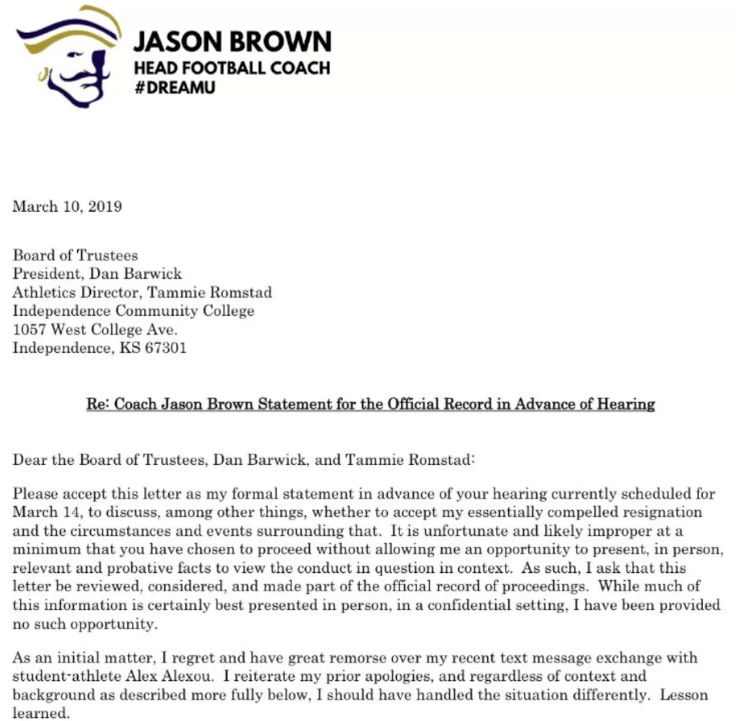 You thought that perhaps you’d heard the last of former Independence Community College football coach Jason Brown, a.k.a. The “I’m Your Hitler” Guy. But, as is always the case with “I’m Your Hitler” Guys, that is not the case. First, a quick catch-up. 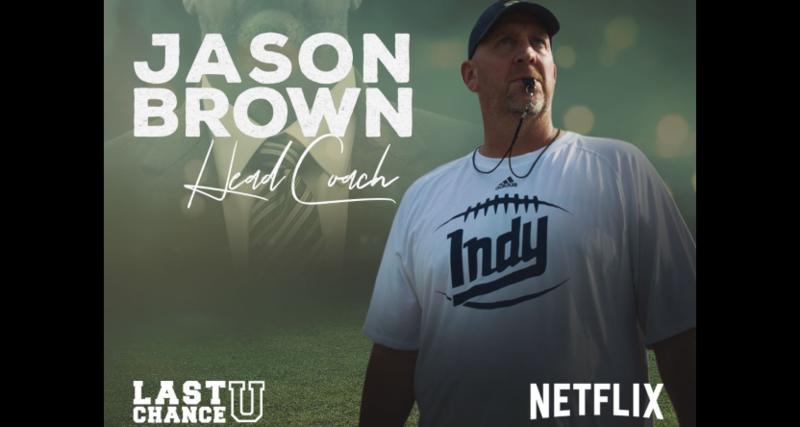 Brown came to the world’s attention in Season 3 of Last Chance U when the Netflix show switched gears to a new school. Brown was a crass and combative head coach who could also show a softer side for his players from time to time. That dichotomy was one of the things our own Ben Koo found challenging about the third season. There are a few ways to read this kind of statement. You could say it a rambling diatribe by a media-hungry coach who thinks way too much of themselves. Or you could say this is a person at the end of the line trying to redeem their broken reputation the only way they know how. Perhaps it’s somewhere in between. We’ll surely hear more from Brown and his former players when Last Chance U returns to Netflix this summer. Until then, keep an eye out for the next turn in this wacky story.